Information design is the skill and practice of preparing information so people can quickly and completely grasp the meaning and importance of your solution. Data is usually complex, and a visual representation can and should express its meaning much more clearly. Today, being able to Convey your message, while grabbing their attention and appealing to their logical and emotional mind is one of the key ways to win a proposal. Your goal with proper graphics is to make them memorable, give them something to remember when evaluating all of the proposals they are reviewing. With that being said, a bad graphic can actually be worse than no graphic at all. This event will help you take what is in your and your teams heads and create a engaging, complete visual message. 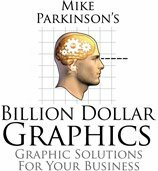 Graphics Designers: how to work in partnership with the proposal team to get the information needed to conceptualize, render and produce the graphics. All target audiences will learn how to work in partnership to conceptualize the winning solution, render it as a professional graphic and produce a winning design – for the entire proposal, executive summary, cover, and also for quick turn proposals. Create winning, visually appealing, professional graphics that sell the proposal solution, including for executive summaries and in quick turn situations. Create proposal covers that make a great first impression and tell the story of the solution.